Carpet flooring has been a popular floor covering option in Idaho Falls for many generations, and it’s easy to see why. With the comfort and warmth it brings to indoor environments, carpet flooring can really make any home a place someone wants to be in after a long and tiring day in the outside world. Keeping your home’s carpet flooring, however, can be challenging. With the amount of dirt and debris that can get tracked in by people coming from the outdoors, along with all the dust that can enter your home through open windows and doors as well as through your HVAC system, it wouldn’t take very long before your carpet becomes filthy and unsanitary. There are, of course, measures you can follow to keep your carpet clean for much longer. For instance, regular vacuuming and placing doormats at entryways are proven to help maintain the cleanliness of carpet flooring. For thoroughly cleansing your carpet flooring, however, it’s best to hire a professional carpet cleaner. Receive services from experts that follow established industry standards. Remove entrenched stain and dirt from your carpet. Ensure that your carpet is receiving the most appropriate type of treatments based on the material it’s made of, its colorfastness, and how it was manufactured. 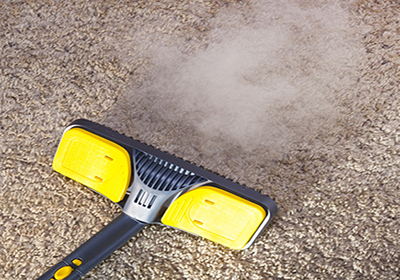 Have an option to have your carpet cleaned on a regular basis. Maintain a healthy and sanitary environment for your loved ones. All American Cleaning is a leading provider of carpet cleaning and restoration services in Idaho Falls and surrounding areas in Idaho. If you are in need of professional carpet cleaning services, please don’t hesitate to get in touch with our team by calling 866-707-8006.